The birth of a healthy baby is one of the most exciting and eagerly anticipated events a family can experience. However each year in Australia many families are devastated to learn that their precious and much longed for child has a chromosomal disorder. Suddenly they are plunged into a strange and frightening world that they know little about. The need for information, support and understanding are vital. 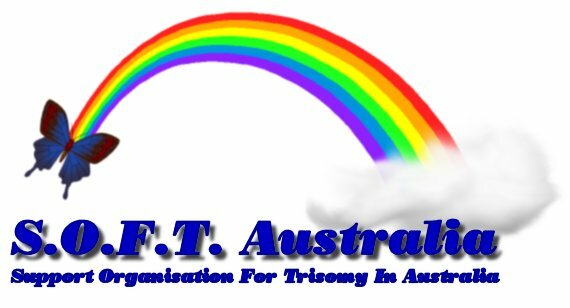 SOFT Australia is a non-profit organisation that has been formed by parents, who have been in this very position. Working together with the medical profession, educators and the wider community SOFT aims to provide much needed, non-judgemental support to families, friends and relatives during this difficult time. We also hope to promote awareness, research, and a greater understanding of genetic disorders in particularly those involving a Trisomy.